1. Fundamentals of Applied Electromagnetics (7th Edition) by Fawwaz T. Ulaby – Umberto Ravaioli. 2. Discrete-Time Signal Processing (3rd Edition) (Prentice-Hall Signal Processing Series) by Alan V. Oppenheim – Ronald W. Schafer. 3. Field and Wave Electromagnetics (2nd Edition) by David K. Cheng. 4. Microwave Engineering by David M. Pozar. 5. Fundamentals of Applied Electromagnetics by Eric Michielssen,Umberto Ravaioli,Umberto Ravaioli,Fawwaz T. Ulaby Fawwaz T. Ulaby. 6. Fundamentals of Applied Electromagnetics (6th Edition) by Fawwaz T. Ulaby – Eric Michielssen – Umberto Ravaioli. 7. Troubleshooting and Repairing Major Appliances by Eric Kleinert. 8. Engineering Electromagnetics by Umran S. Inan – Aziz Inan. 9. Antenna Theory: Analysis and Design, 3rd Edition by Constantine A. Balanis. 10. Electromagnetics by Branislav M. Notaros. 11. Fundamentals of Engineering Electromagnetics by David K. Cheng. 12. The Electronics of Radio by David Rutledge. 13. Electromagnetics for Engineers by Fawwaz T. Ulaby. 14. Elements of Engineering Electromagnetics (6th Edition) by Nannapaneni Narayana Rao. 15. An Introduction to Radio Frequency Engineering by Christopher Coleman. 16. Microwave and RF Design: A Systems Approach by Michael Steer. 17. LCP for Microwave Packages and Modules (The Cambridge RF and Microwave Engineering Series) by Anh-Vu H. Pham – Morgan J. Chen – Kunia Aihara. 18. Microwave Filters for Communication Systems: Fundamentals, Design and Applications by Richard J. Cameron – Raafat Mansour – Chandra M. Kudsia. 19. Complex Variables Demystified by David McMahon. 20. Public Health SOS: The Shadow Side Of The Wireless Revolution by Camilla Rees – Magda Havas. 21. Electromagnetic Waves by Umran S. Inan – Aziz Inan. 22. RF and Microwave Engineering: Fundamentals of Wireless Communications by Frank Gustrau. 23. Microwave and Rf Design of Wireless Systems by David M. Pozar. 24. Surface Acoustic Wave Devices in Telecommunications: Modelling and Simulation (Engineering Online Library) by Ken-Ya Hashimoto. 25. Principles of Traveling Wave Tubes (Artech House Radar Library) by A. S. Gilmour Jr.
26. Microwave-Enhanced Chemistry: Fundamentals, Sample Preparation, and Applications (ACS Professional Reference Book) by . 27. The Finite Difference Time Domain Method for Electromagnetics by Karl S. Kunz – Raymond J. Luebbers. 28. Computational Electromagnetics―Retrospective and Outlook: In Honor of Wolfgang J.R. Hoefer by . 29. Fundamentals of RF and Microwave Transistor Amplifiers by Inder Bahl. 30. Understanding Quartz Crystals and Oscillators (Artech House Microwave Library) by Ramon M. Cerda. 31. Transmission Lines: Equivalent Circuits, Electromagnetic Theory, and Photons (The Cambridge RF and Microwave Engineering Series) by Richard Collier. 32. Introduction to Magnetic Materials by B. D. Cullity – C. D. Graham. 33. The Design of CMOS Radio-Frequency Integrated Circuits, Second Edition by Thomas H. Lee. 34. Light Science: Physics and the Visual Arts (Undergraduate Texts in Contemporary Physics) by Thomas D. Rossing – Christopher J Chiaverina. 35. Fundamentals of Electromagnetics for Electrical and Computer Engineering (Illinois Ece) by Nannapaneni Narayana Rao. 36. Electromagnetic Waves by David H. Staelin – Ann W. Morgenthaler – Jin Au Kong. 37. Microwave Transistor Amplifiers: Analysis and Design (2nd Edition) by Guillermo Gonzalez. 38. Radio-Frequency Electronics: Circuits and Applications by Jon B. Hagen. 39. Design and Optimization of Passive UHF RFID Systems by Joehl – Norbert – Dehollain – Catherine – Declercq – Michel – Curty – Jari-Pascal. 40. Mobile Communications Safety (Telecommunications Technology & Applications Series) by . 41. Electromagnetic Field Theory: A Collection of Problems by Gerd Mrozynski – Matthias Stallein. 42. Fundamentals of Applied Electromagnetics (5th Edition) by Fawwaz T. Ulaby. 43. High-Speed Devices and Circuits with THz Applications (Devices, Circuits, and Systems) by . 44. Microwave Engineering by David M. Pozar. 45. Fundamentals of Electromagnetics for Electrical and Computer Engineering (Illinois Ece) by Nannapaneni Narayana Rao. 46. RF Power Amplifiers for Wireless Communications, Second Edition (Artech House Microwave Library (Hardcover)) by Steve C. Cripps. 47. Patterns of Light: Chasing the Spectrum from Aristotle to LEDs by Steven Beeson – James W. Mayer. 48. Civil Engineering Applications of Ground Penetrating Radar (Springer Transactions in Civil and Environmental Engineering) by . 49. Microstrip Filters for RF / Microwave Applications by Jia-Sheng Hong. 50. Engineering Electromagnetics by Kenneth R. Demarest. 51. Practical RF Circuit Design for Modern Wireless Systems, Volume I : Passive Circuits and Systems by Les Besser. 52. Design of Amplifiers and Oscillators by the S-parameter Method by George D. Vendelin. 53. Power System Transients: Parameter Determination by . 54. Engineering Optics (Springer Series in Optical Sciences) by Keigo Iizuka. 55. Microwave Devices and Circuits (3rd Edition) by Samuel Y. Liao. 56. MICROWAVE RING CIRCUITS AND RELATED STRUCTURES, SECOND EDITION by Chang. 57. Radio Frequency and Microwave Electronics Illustrated by Matthew M. Radmanesh. 58. Phase Noise and Frequency Stability in Oscillators (The Cambridge RF and Microwave Engineering Series) by Enrico Rubiola. 59. Stresses in Beams, Plates, and Shells, Third Edition (Applied and Computational Mechanics) by Ansel C. Ugural. 60. Controlling Radiated Emissions by Design by Michel Mardiguian. 61. Lasers: Fundamentals and Applications (Graduate Texts in Physics) by K. Thyagarajan – Ajoy Ghatak. 62. Development of Packaging and Products for Use in Microwave Ovens (Woodhead Publishing in Materials) by . 63. The RF and Microwave Handbook (Electrical Engineering Handbook) by . 64. Microwave Circuit Design: A Practical Approach Using ADS by Kyung-Whan Yeom. 65. Mobile Phone Programming: and its Application to Wireless Networking by . 66. Practical Rf Circuit Design for Modern Wireless Systems, Volume Ii: Active Circuits by Rowan Gilmore. 67. Digital Microwave Communication: Engineering Point-to-Point Microwave Systems by George Kizer. 68. Microwave and RF Circuits: Analysis, Synthesis, and Design (Artech House Antennas and Propagation Library) by Max W. – Jr. Medley. 69. Many-Body Approach to Electronic Excitations: Concepts and Applications (Springer Series in Solid-State Sciences) by Friedhelm Bechstedt. 70. Microwave Engineering by David M. Pozar. 71. Remote Sensing with Imaging Radar (Signals and Communication Technology) by John A. Richards. 72. Precision Temperature Sensors in CMOS Technology (Analog Circuits and Signal Processing) by Micheal A.P. Pertijs – Johan Huijsing. 73. Optical Network Design and Planning (Optical Networks) by Jane M. Simmons. 74. RFID For Dummies by Patrick J. Sweeney II. 75. Essentials of RF and Microwave Grounding (Artech House Microwave Library) by Eric Holzman. 76. Microwave Receivers With Electronic Warfare Applications. Corrected Reprint Edition by James Bao-Yen Tsui. 77. Principles of Lasers by Orazio Svelto. 78. Astronomical Spectroscopy for Amateurs (The Patrick Moore Practical Astronomy Series) by Ken M. Harrison. 79. Electrodynamics: The Field-Free Approach: Electrostatics, Magnetism, Induction, Relativity and Field Theory (Undergraduate Lecture Notes in Physics) by Kjell Prytz. 80. Foundations for Radio Frequency Engineering by Shinichi Nakabayashi. 81. Choosing and Using Astronomical Eyepieces (The Patrick Moore Practical Astronomy Series) by William Paolini. 82. The Arrl Uhf/Microwave Experimenter’s Manual: Antennas, Components and Design by American Radio Relay League. 83. Optical Imaging Sensors and Systems for Homeland Security Applications (Advanced Sciences and Technologies for Security Applications) by . 84. Handbook of Microwave Component Measurements: with Advanced VNA Techniques by Joel P. Dunsmore. 85. Electronic Circuits: Handbook for Design and Application by Ulrich Tietze – Christoph Schenk – Eberhard Gamm. 86. Nanometer CMOS RFICs for Mobile TV Applications (Analog Circuits and Signal Processing) by Ahmed A. Youssef – James W. Haslett. 87. Principles of Lasers by Orazio Svelto. 88. Raman Amplifiers for Telecommunications 1: Physical Principles (Springer Series in Optical Sciences) (v. 1) by . 89. Microstrip Antennas: The Analysis and Design of Microstrip Antennas and Arrays by . 1. Mechanical and Electrical Equipment for Buildings by Walter T. Grondzik – Alison G. Kwok. 2. 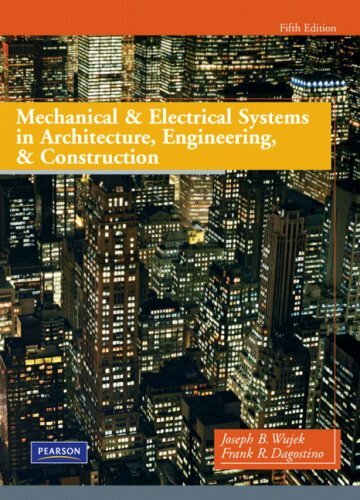 Mechanical and Electrical Systems in Buildings (5th Edition) by Richard R. Janis – William K. Y. Tao. 3. Building Systems for Interior Designers by Corky Binggeli. 4. 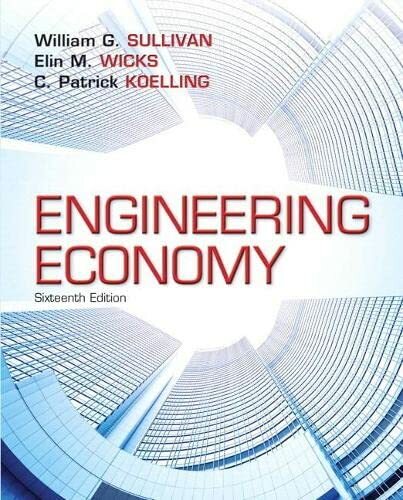 Mechanical and Electrical Systems in Architecture, Engineering and Construction by Dagostino – Frank R..
5. Mechanical and Electrical Systems for Construction Managers by ATP Staff. 6. Kitchen & Bath Residential Construction and Systems by NKBA (National Kitchen and Bath Association). 7. The Pipe Fitter’s and Pipe Welder’s Handbook, Revised Edition by Thomas W. Frankland. 8. Design of Mechanical and Electrical Systems in Buildings by J. Trost – Ifte Choudhury. 9. Code Check Plumbing & Mechanical 4th Edition: An Illustrated Guide to the Plumbing and Mechanical Codes (Code Check Plumbing & Mechanical: An Illustrated Guide) by Redwood Kardon – Douglas Hansen. 10. 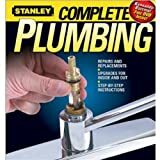 Black & Decker The Complete Guide to Plumbing, Updated 5th Edition: Faucets & Fixtures – PEX – Tubs & Toilets – Water Heaters – Troubleshooting & Repair – Much More (Black & Decker Complete Guide) by . 11. Ultimate Guide: Plumbing, 3rd edition by Editors of Creative Homeowner – Home Improvement – Plumbing – How-To. 12. 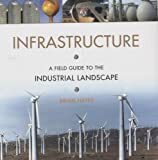 Water Storage: Tanks, Cisterns, Aquifers, and Ponds for Domestic Supply, Fire and Emergency Use–Includes How to Make Ferrocement Water Tanks by Art Ludwig. 13. 2015 International Plumbing Code (Includes IPSDC) by International Code Council. 14. Create an Oasis with Greywater: Choosing, Building, and Using Greywater Systems, Includes Branched Drains by Art Ludwig. 15. Mathematics for Plumbers and Pipefitters by Lee Smith. 16. Black & Decker The Complete Guide to Plumbing, 6th edition (Black & Decker Complete Guide) by Editors of Cool Springs Press. 17. Process Pipe Drafting by Terence M. Shumaker. 18. Pipe Welding Procedures by Hoobasarl Rampaul. 19. 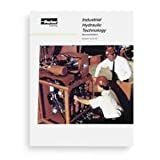 Pipe Trades Pocket Manual (OTHER TECHNOLOGY) by McGraw-Hill Education. 20. Water and Wastewater Engineering by Mackenzie Davis. 21. The Outdoor Shower: Creative design ideas for backyard living, from the functional to the fantastic by Ethan Fierro. 22. Modern Plumbing by E. Keith Blankenbaker. 23. Plumbing 1-2-3 by The Home Depot. 24. Pipe Fitter’s Math Guide by Johnny E. Hamilton. 25. Pipefitters Handbook by Forrest Lindsey. 26. Residential Energy: Cost Savings and Comfort for Existing Buildings (6th Edition) by John Krigger. 27. Plumbing a House: For Pros by Pros by Peter Hemp. 28. 2012 International Plumbing Code (Includes International Private Sewage Disposal Code) (International Code Council Series) by International Code Council. 29. Wells and Septic Systems by Max Alth – Charlotte Alth – S. Blackwell Duncan. 30. Residential Construction Academy: Plumbing by Michael A Joyce – Ray Holder. 31. Bathroom Remodeling (For Pros By Pros) by Editors of Fine Homebuilding. 32. 2009 International Plumbing Code: Softcover Version (International Code Council Series) by International Code Council. 33. The Home Water Supply: How to Find, Filter, Store, and Conserve It by Stu Campbell. 34. Plumbing: Basic, Intermediate & Advanced Projects by Mr. Merle Henkenius. 35. Black & Decker The Complete Guide to Bathrooms, Updated 4th Edition: Design * Update * Remodel * Improve * Do It Yourself (Black & Decker Complete Guide) by Editors of Cool Springs Press. 36. Plumbing (For Pros By Pros) by Rex Cauldwell. 37. Mechanical and Electrical Equipment for Buildings, 10th Edition by Benjamin Stein – John S. Reynolds – Walter T. Grondzik – Alison G. Kwok. 38. Remodel Plumbing by Rex Cauldwell. 39. Practical Plumbing Engineering by . 40. Basic Plumbing With Illustrations Revised Edition by Howard C. Massey. 41. How a House Works (Family Handyman) by Editors of The Family Handyman. 42. Estimator’s Piping Man-Hour Manual, Fifth Edition (Estimator’s Man-Hour Library) by John S. Page. 43. Plumbing 1-2-3 (Home Depot … 1-2-3) by Home Depot Books. 44. Architectural Design: Integration of Structural and Environmental Systems by Carl Bovill. 45. 2006 International Plumbing Code (International Code Council Series) by International Code Council. 46. Plumbing Complete: Expert Advice from Start to Finish (Taunton’s Complete) by Rex Cauldwell. 47. Mechanical and Electrical Systems in Architecture, Engineering and Construction by Dagostino – Frank R..
48. Code Check Plumbing: An Illustrated Guide to the Plumbing Codes (Code Check Plumbing & Mechanical: An Illustrated Guide) by Redwood Kardon – Douglas Hansen – Michael Casey. 49. Black & Decker The Complete Guide to Plumbing: Expanded 4th Edition – Modern Materials and Current Codes – All New Guide to Working with Gas Pipe (Black & Decker Complete Guide) by . 50. Flushed: How the Plumber Saved Civilization by W. Hodding Carter. 51. Journeyman Plumber’s Exam Secrets Study Guide: Plumber’s Test Review for the Journeyman Plumber’s Exam by Plumber’s Exam Secrets Test Prep Team. 52. Modern Plumbing by E. Keith Blankenbaker. 53. Low-Cost Pole Building Construction: The Complete How-To Book by Ralph Wolfe – Evelyn Loveday. 54. Mechanical and Electrical Systems in Construction and Architecture (4th Edition) by Frank R. Dagostino – Joseph B. Wujek. 55. Practical Plumbing Design Guide by James C. Church. 56. Plumbing (HOME REPAIR AND IMPROVEMENT (UPDATED SERIES)) by Time Life. 57. DEWALT Plumbing Code Reference (DEWALT Series) by American Contractors Exam Services. 58. Profitable Plumbing: How to make the most money in the plumbing and heating trade by Matthew Gregg. 59. The Septic System Owner’s Manual by Lloyd Kahn – Blair Allen – Julie Jones. 60. Plumbing Technology: Design and Installation by Lee Smith – Michael A Joyce. 61. Plumbing Systems: Analysis, Design and Construction by Tim Wentz. 62. Solar Water Heating–Revised & Expanded Edition: A Comprehensive Guide to Solar Water and Space Heating Systems (Mother Earth News Wiser Living Series) by Bob Ramlow – Benjamin Nusz. 63. Modern Plumbing by E. Keith Blankenbaker. 64. Plumbing, Electricity, Acoustics: Sustainable Design Methods for Architecture by Norbert M. Lechner. 65. Modern Plumbing: Lab Workbook by Charles H Owenby. 66. Kitchen and Bath Business and Project Management, with Website by NKBA (National Kitchen and Bath Association). 67. Plumber’s Exam Preparation Guide by Howard C. Massey. 68. Plumbing Level 1 Trainee Guide, Paperback (4th Edition) by NCCER. 69. Pipe Layout Helps: For the Pipefitter and Welder by C. L. Hart. 70. Modeling, Design, and Optimization of Net-Zero Energy Buildings (Solar Heating and Cooling) by . 71. The Passive Solar Energy Book: A Complete Guide to Passive Solar Home, Greenhouse and Building Design by Edward Mazria. 72. Audel Pipefitter’s and Welder’s Pocket Manual by Charles N. McConnell. 73. Plumbing Level 2 Trainee Guide (4th Edition) by NCCER. 74. Manual De Plomeria, El Libro Azul / The Pipe Fitters Blue Book (Spanish Edition) by W. V. Graves. 75. DEWALT Plumbing Estimating Professional Reference (DEWALT Series) by Adam Ding – Paul Rosenberg – American Contractors Educational Services. 76. Home Plumbing: A Step-By-Step Guide by Ray McReynolds. 77. HVAC Design Sourcebook by W. Larsen Angel. 78. Planning and Installing Sustainable Onsite Wastewater Systems by S. M. Parten. 79. La Guia Completa sobre Plomeria (Black & Decker Complete Guide) by Editors of CPi. 80. Plumbing Level 3 Trainee Guide (4th Edition) by NCCER. 81. Composting Toilet System Book: A Practical Guide to Choosing, Planning and Maintaining Composting Toilet Systems by David Del Porto – Carol Steinfeld. 82. Efficient Building Design Series, Volume 3: Water and Plumbing by Ifte Choudhury – J. Trost. 83. Understanding Boat Plumbing and Water Systems by John C. Payne. 84. Mechanical and Electrical Equipment for Buildings, 12e with Interactive Resource Center Access Card by Walter T. Grondzik – Alison G. Kwok. 85. Mathematics for Plumbers and Pipefitters (Applied Mathematics Ser.) by . 86. Design for Water: Rainwater Harvesting, Stormwater Catchment, and Alternate Water Reuse by Heather Kinkade-Levario. 87. Modern Plumbing by Charles H Owenby. 88. Environmental Control Systems: Heating, Cooling, Lighting by Fuller Moore. 89. The Renewable Energy Handbook: The Updated Comprehensive Guide to Renewable Energy and Independent Living by Mr. William H Kemp. 90. RSMeans Plumbing Cost Data 2014 by RSMeans Engineering Department. 91. Complete Plumbing by Stanley. 92. Design of Piping Systems by M. W. Kellogg Company. 93. The Porcelain God: A Social History of the Toilet by Julie L. Horan. 1. Product Design and Development, 5th Edition by Karl T. Ulrich – Steven D. Eppinger. 2. Cradle to Cradle: Remaking the Way We Make Things by Michael Braungart – William McDonough. 4. Introduction to Human Factors Engineering (2nd Edition) by Christopher D. Wickens – John D. Lee – Yili Liu – Sallie Gordon-Becker. 5. Human Factors In Engineering and Design by Mark S. Sanders – Ernest J. McCormick. 6. Print Reading for Industry by Walter C. Brown – Ryan K. Brown. 7. The Measure of Man and Woman: Human Factors in Design by Alvin R. Tilley – Henry Dreyfuss Associates. 8. Making It: Manufacturing Techniques for Product Design by Chris Lefteri. 11. Human Factors in Simple and Complex Systems, Second Edition by Robert W. Proctor – Trisha Van Zandt. 12. Set Phasers on Stun: And Other True Tales of Design, Technology, and Human Error by S. M. Casey – Steven Casey. 13. The Laws of Simplicity (Simplicity: Design, Technology, Business, Life) by John Maeda. 14. The Box: How the Shipping Container Made the World Smaller and the World Economy Bigger by Marc Levinson. 15. Introduction to Human Factors and Ergonomics for Engineers, Second Edition by Mark R. Lehto – Steven J. Landry. 16. The Fundamentals of Production Planning and Control by Stephen N. Chapman. 17. 507 Mechanical Movements: Mechanisms and Devices (Dover Science Books) by Henry T. Brown. 18. The Design of Everyday Things by Donald A. Norman. 19. Sketching: The Basics (2nd printing) by Roselien Steur – Koos Eissen. 20. Understanding Cryptography: A Textbook for Students and Practitioners by Christof Paar – Jan Pelzl. 21. Designing for People by Henry Dreyfuss. 22. The Industrial Design Reader by . 23. Materials and Design, Third Edition: The Art and Science of Material Selection in Product Design by Michael F. Ashby – Kara Johnson. 24. Beginning AutoCAD 2015 by Cheryl R. Shrock – Steve Heather. 25. 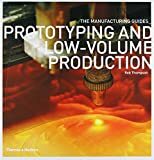 Prototyping and Low-Volume Production (The Manufacturing Guides) by Rob Thompson. 26. Zero to Maker: Learn (Just Enough) to Make (Just About) Anything by David Lang. 27. Additive Manufacturing Technologies: 3D Printing, Rapid Prototyping, and Direct Digital Manufacturing by Ian Gibson – David Rosen – Brent Stucker. 28. Sketching User Experiences: The Workbook by Saul Greenberg – Sheelagh Carpendale – Nicolai Marquardt – Bill Buxton. 29. Introduction to Ergonomics, Third Edition by Robert Bridger. 30. Packaging Design: Successful Product Branding From Concept to Shelf by Marianne R. Klimchuk – Sandra A. Krasovec. 31. Managing the Design Factory by Donald G. Reinertsen. 32. 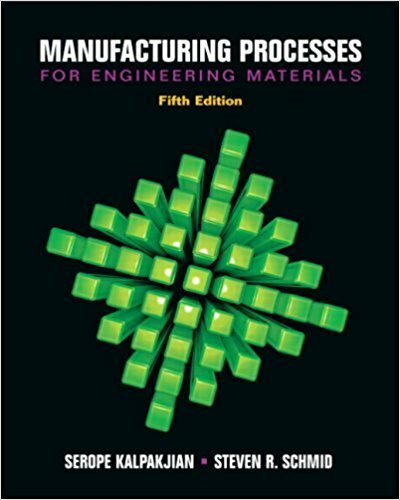 Applied Strength of Materials, Fifth Edition by Robert L. Mott. 33. Engineering Psychology and Human Performance by Christopher D. Wickens – Justin G. Hollands – Simon Banbury – Raja Parasuraman. 34. Technical Shop Mathematics by Thomas Achatz. 35. Nuclear Energy, Seventh Edition: An Introduction to the Concepts, Systems, and Applications of Nuclear Processes by Raymond Murray – Keith E. Holbert. 36. Welding Essentials by William L. Galvery Jr. – Frank B. Marlow. 37. 5S for Operators: 5 Pillars of the Visual Workplace (For Your Organization!) (Volume 2) by Hiroyuki Hirano. 38. Basic to Advanced Computer Aided Design Using NX9 Modeling, Drafting, Assembli: A Project Oriented Learning Manual by Stephen M Samuel PE. 39. Sketching User Experiences: Getting the Design Right and the Right Design (Interactive Technologies) by Bill Buxton. 40. Product Design and Development, 4th Edition by Karl T. Ulrich – Steven D. Eppinger. 41. Methods for Developing New Food Products: An Instructional Guide by Fadi Aramouni – Kathryn Deschenes. 42. Ergonomics: Foundational Principles, Applications, and Technologies (Ergonomics Design & Mgmt. 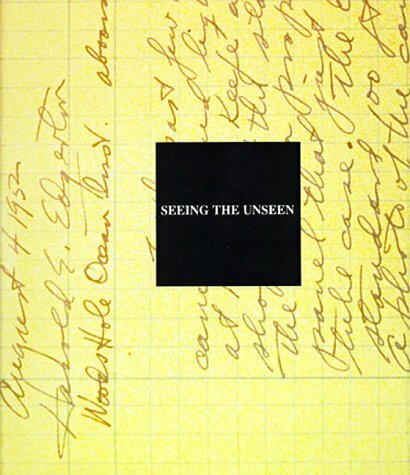 Theory & Applications) by Pamela McCauley-Bush. 43. 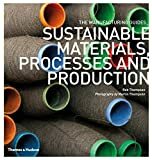 Materials and the Environment, Second Edition: Eco-informed Material Choice by Michael F. Ashby. 44. The Mechanical Design Process (Mechanical Engineering) by David G Ullman. 45. The Atomic Chef: And Other True Tales of Design, Technology, and Human Error by Steven Casey. 46. Prototyping and Modelmaking for Product Design (Portfolio Skills) by Bjarki Hallgrimsson. 47. Exploring Package Design (Design Exploration Series) by Chuck Groth. 48. Engineering Design: An Introduction by John R. Karsnitz – Stephen O’Brien – John P. Hutchinson. 49. Plastic Part Design for Injection Molding 2E: An Introduction by Robert A. Malloy. 50. Benchmarking Best Practices for Maintenance, Reliability and Asset Management by Terry Wireman. 51. Engineering Design: An Introduction (Texas Science) by John R. Karsnitz – John P. Hutchinson – Stephen O’Brien. 52. Invention by Design; How Engineers Get from Thought to Thing by Henry Petroski. 53. Product Design: Techniques in Reverse Engineering and New Product Development by Kevin Otto – Kristin Wood. 54. Kodak’s Ergonomic Design for People at Work by The Eastman Kodak Company. 55. Design for the Real World: Human Ecology and Social Change by Victor Papanek. 56. Populuxe by Thomas Hine. 57. The RFF Reader in Environmental and Resource Policy by . 58. The Hardware Startup: Building Your Product, Business, and Brand by Renee DiResta – Brady Forrest – Ryan Vinyard. 59. Blueprint Reading Basics by Warren Hammer. 60. Maintenance Best Practices by Ramesh Gulati. 61. The Simplicity Cycle: A Field Guide to Making Things Better Without Making Them Worse by Dan Ward. 62. Metalworking: Doing It Better by Tom Lipton. 63. Handbook of Nondestructive Evaluation, Second Edition by Chuck Hellier. 64. Design of Biomedical Devices and Systems, Third Edition by Paul H. King – Richard C. Fries – Arthur T. Johnson. 65. Engineering Design: A Systematic Approach by Gerhard Pahl – W. Beitz – J. Feldhusen – K. H. Grote. 66. Make: 3D Printing: The Essential Guide to 3D Printers by . 67. Mechanical Design of Machine Components, Second Edition by Ansel C. Ugural. 68. Product Design and Development by Karl Ulrich. 69. The Packaging Designer’s Book of Patterns by LÃ¡szlo Roth – George L. Wybenga. 70. 001: Technical Design Solutions for Theatre: The Technical Brief Collection Volume 1 by . 71. A Study of the Toyota Production System: From an Industrial Engineering Viewpoint (Produce What Is Needed, When It’s Needed) by Shigeo Shingo – Andrew P. Dillon. 72. How to Design Cars Like a Pro by Tony Lewin – Ryan Borroff. 73. Cradle to Cradle: Remaking the Way We Make Things (Patterns of the Planet) by William McDonough – Michael Braungart. 74. Design Research: Methods and Perspectives (MIT Press) by . 75. Product Design and Development, 5th Edition by Karl T. Ulrich – Steven D. Eppinger. 76. Computational Intelligence in Design and Manufacturing by Andrew Kusiak. 77. Plastics Packaging 3E: Properties, Processing, Applications, and Regulations by Susan E.M. Selke. 78. Nondestructive Evaluation: Theory, Techniques, and Applications (Mechanical Engineering) by Peter J. Shull. 79. Occupational Ergonomics: Theory and Applications, Second Edition by . 80. Engineering Design Process by Yousef Haik – Tamer M. Shahin – Sangarappillai Sivaloganathan. 81. LEO the Maker Prince: Journeys in 3D Printing by Carla Diana. 82. The Makerspace Workbench: Tools, Technologies, and Techniques for Making by Adam Kemp. 83. Mechanical Assemblies: Their Design, Manufacture, and Role in Product Development by Daniel E. Whitney. 84. Design for CNC: Furniture Projects and Fabrication Technique by Gary Rohrbacher – Anne Filson – Anna Kaziunas France. 85. 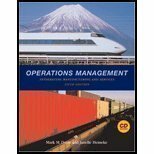 Toyota Production System: An Integrated Approach to Just-In-Time, 4th Edition by Yasuhiro Monden. 86. The Design of Everyday Things by Donald Norman. 87. A & P Technician General Textbook by Jeppesen Sanderson Inc..
88. Human Factors in Simple and Complex Systems, Second Edition by Robert W. Proctor – Trisha Van Zandt. 89. 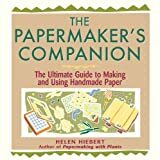 The Evolution of Useful Things: How Everyday Artifacts-From Forks and Pins to Paper Clips and Zippers-Came to be as They are by Henry Petroski. 90. HVACR 201 (Enhance Your HVAC Skills!) by John E. Hohman – Joseph Moravek. 91. Subject To Change: Creating Great Products & Services for an Uncertain World: Adaptive Path on Design by Peter Merholz – Todd Wilkens – Brandon Schauer – David Verba. 92. Maintenance Planning, Coordination, & Scheduling by Don Nyman – Joel Levitt. 93. Forms, Folds and Sizes, Second Edition: All the Details Graphic Designers Need to Know but Can Never Find by Aaris Sherin – Poppy Evans. 94. Inviting Disaster: Lessons From the Edge of Technology by James R Chiles. 95. Industrial Design: Materials and Manufacturing Guide by Jim Lesko.